This article is 93 days old. 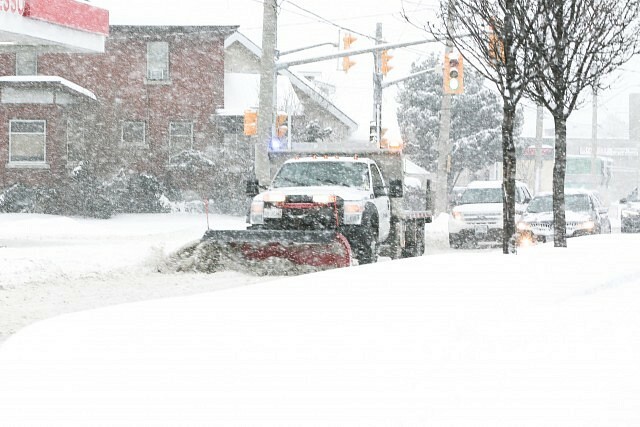 With significant winter weather to hit this weekend, City of Windsor Public Works crews will be ready to deal with it and want you to be as well. City staff monitor weather forecasts and begin salting, when required, to help ensure roads remain as safe as possible. Plowing starts once the snowfall accumulation reaches five centimetres, and an average route takes from three to six hours to complete once the snow has stopped falling, depending on the time of day and traffic conditions. Once the main roads are clear, and only if more than 10 centimetres of snow have fallen, trucks will then move into residential areas. Motorists are asked to be patient when travelling behind a plow and give operators plenty of room. Plows typically operate at up to 40 kilometres per hour. Following too close to a snowplow can lead to poor visibility, and vehicles risk being hit by thrown snow, salt or rocks. Residents and property owners are reminded that clearing of sidewalks abutting their property is their responsibility. As well, under the Highway Traffic Act and City of Windsor by-laws, residents are prohibited from shovelling snow back onto the street while clearing sidewalks and driveways, as this creates unsafe road conditions for motorists. All sidewalks in commercial areas are to be cleared within four hours after the snowfall ends and within twelve hours in residential areas.